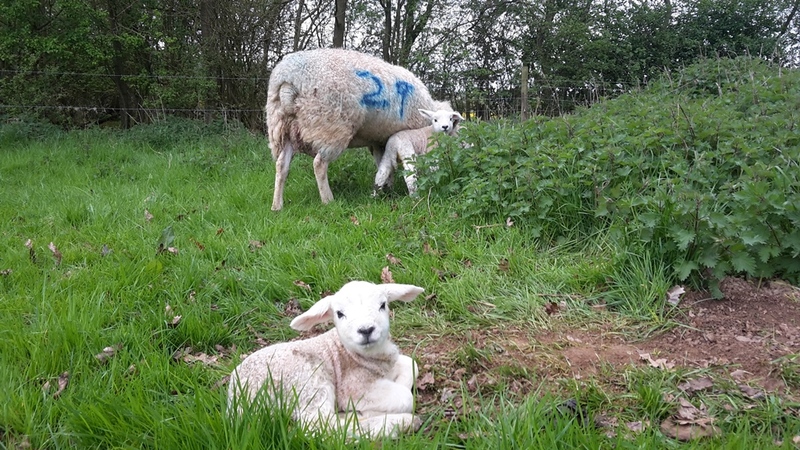 The lambs are coming steadily and seem healthy and happy, I've got one inside at the moment who is breathing funny but I've given some medicine and just waiting on that one. I have had a couple of tricky deliveries though. One was breach and was coming out the wrong way. I spotted her just as the light was fading, one little hoof sticking out of her. I managed to trick her into a pen with some food before wrestling her to the ground, then I had to try to find the other leg inside her and pull the lamb out once I'd gotten both legs. Because the lamb is the worn way round once you start pull you need to be quick as it'll drown in there once the cord is broken. I've never had such a hard one to pull out before, he was huge. I had to put my foot on the ewe to get him out, poor thing. But once he was out I gave him a good rub and he seems fine. The second one was from some night time checks last night. 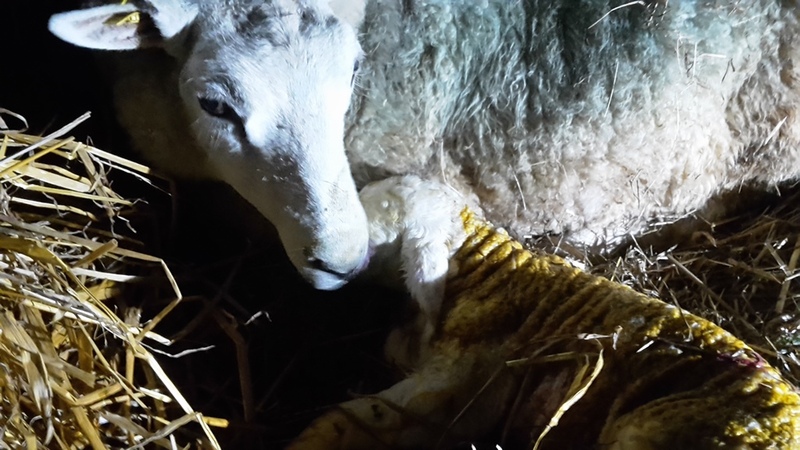 I went out at 2am and could see a ewe had started lambing but looked unsettled. I couldn't get near her (a major disadvantage of lambing outside) so I decided to come back in two hours time and see if she'd had the lamb on her own. When I came out at 4 in the morning I was gutted to see her running about with just a head sticking out of her, looking all swollen. I thought it's dead for sure but I still need to get it out of her. Catching her was another story. I ran round for a bit but decided to get the quad bike out, I've no idea what the neighbours thought to me trying to round the sheep up at half four in the morning, I'm surprised the police didn't turn up in all honesty and do me for rustling! After about fifteen minutes of her running round and the lambs head making a horrible noise as it slapped her legs as she ran I managed to catch her and pin her to the ground. The the difficult job of lambing her without letting her go! I managed to find a leg a little way back and pulled that and the head, two legs would have been better but the head had swollen and I thought there was no chance of getting that back inside her. Again it took some pulling out but when it came out I was really pleased to see it was still alive. The ewe tried to bolt at the this point but I pinned her down and checked for any more lambs inside her. I pulled out the twin as well and left her to clean up the lambs as I put the quad bike away. By this time I was too fired up to go straight to bed so I thought I'd go and check on them and spray their bellies, it's a good job I did as the one lamb had got up, stumbled ten feet and fell down into the brook, holding it's head just above the water! I rushed in and got it out and then took them up into one of my bonding pens in the small shed I borrow for this month. Rubbed down with hay and making sure they had some milk I then went back to the house. It was 5.45 and I wasn't sure if it was worth going back to bed or not! Kev, rather you than me. I am so glad I no longer have to do this. Good thing you went to look, else you would have lost all 3. How many have you left? My mom's uncle used to sleep in the barn during lambing season, so he could be with them. Oh my gosh Kev...that's reality, I mean, sometimes all I read about is lambing season, then the cute lamb photos... I hope all the kids are okay. What an ordeal, I don't know how I'd react to that, but I don't have an iota of experience. Hope you got a nap in. Sounds like some rough going there Kev. Hope they come easier from now on. Gracious; you make me glad that I've never kept sheep. Well done! Well done. Stories like these are why I prefer to be on the killing end of things. Can't even imagine how you keep your cool while these emergencies are happening! wow kev.....you are a better man than i! i don't think i could have done that. 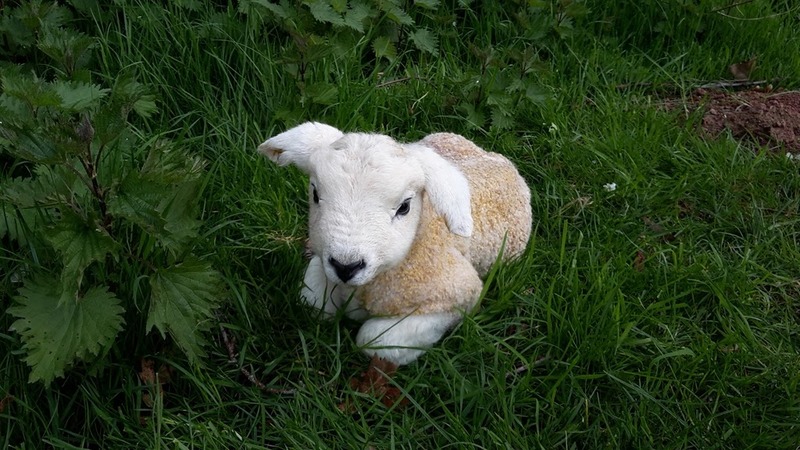 the lambs sure are cute! Yay! And they are so cute! We spotted our first calve of the season. We just a small bull so usually they have no troubles, pulling a lamb or calf is hard work!